How do México and Paraguay get to this game? México gets to this game after beating Chile with a 3-1 score. Raúl Jiménez, Héctor Moreno and Hirving Lozano scored for the Mexican side in their first game under Gerardo Martino, which ended a three-game losing streak for El Tri. Paraguay enters this game after being defeated by Perú. La Blanquirroja won Friday's match with a 1-0 score in what will go down in history as Eduardo Berizzo's first game at the helm. Berizzo has barely had time to work with the guaraní team, since the South Americans recently appointed the Argentine due to Juan Carlos Osorio's sudden resignation. This will be the 19th game between México and Paraguay. The last game between Mexico and Paraguay ended in a 2-1 win for El Tri. Paraguay has not beaten Mexico in any game since June 2007. That game ended with a 1-0 score for the South American side. Curiously, Gerardo Martino coached Paraguay back then. México's biggest win against Paraguay came during a 2007 Copa América meeting. That 6-0 win for El Tri was one major blow to Gerardo Martino's stint as Paraguay's coach back then. Gerardo Martino coached Paraguay from 2007 to 2011. During those four years, "Tata" won 26 games, drew 24 and lost 22. The Argentine coach led Paraguay to their best World Cup finish in 2010, when they reached the quarterfinals. México has won 9 out of the 18 games they have played against Paraguay up to this date. The Mexican National Team uses its social media accounts to keep their huge fanbase informed of all their moves. Their English Twitter feed shared a glimpse of their training session one day before their clash against Paraguay. The grind doesn't stop, so why should we?? Go to our IGTV for a glimpse of today's training!! 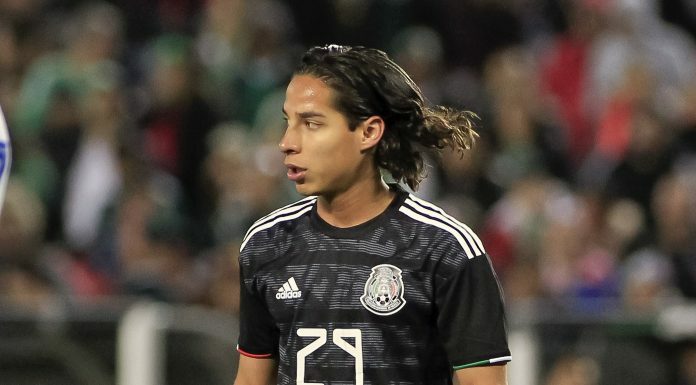 Diego Lainez - Betis' footballer has been named in a list of the Top 20 prospects under the age of 20. His dribbling skills and drive have seen Spanish journalists labeling him as the "Mexican Messi", and "Tata" Martino will surely want to follow his progress in years to come. In México: Televisa Deportes En Vivo, Canal 5 Televisa, Azteca 7, Azteca Deportes En Vivo, TDN. In Paraguay: Tigo Sports Paraguay. In the U.S.: Univision Deportes En Vivo, Univision Deportes, FOX Deportes, UniMás, Univision NOW.